''To appreciate art we use a small part of our intellect, but it is emotion that draws us to the piece, brings us into the realm of its essence. The viewer binds with art and it is a mysterious experience, one that defies definition. Zhana Viel understands that connection between the viewer and her art. When looking at her paintings the colors, the textures, the whole experience is emotional and on a level that drives deep into that place inside us where we discover...ourselves. Many of her subjects include whimsical faces, their expressions portraying the simplest of emotions. Yet they have an edge to them, as if they know something, something deep, Jungian... archetypal. We are fooled into believing that this person is merely happy or angry or sad until we learn that there is so much more. There are slight nuances, a simple stroke of the brush that unfolds secrets, little plans, the recipe of the stars. 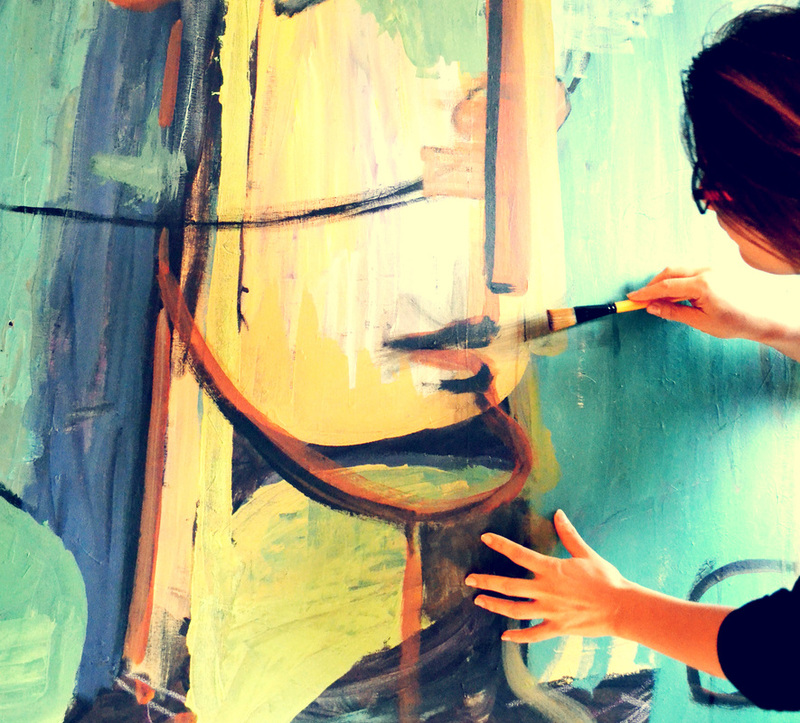 Music is a favored subject of Zhana's art and here we see her creating some of her most brilliant work. The musical instruments are extensions of the people playing them, extremities transporting life's energy from the subject to the viewer. Listening to music is one of the most personal experiences and it is no surprise that it is a dominant aspect of Zhana's work. When one looks at this artist's vast array of creations, thoughts of classic B&W movies from Bergman, Antonioni, Fellini and many other iconic filmmakers come to mind. It is art like this that lifts, transforms and breaks those barriers between the solid, structural world and the ethereal mystical realm of soul-thought.